Cleveland: K-Way, 1981. Bound in faux brown leather, stamped in gold with an imprint of an elephant to front panel. Tight, clean, as new copy -- signed on the limitation page. Book was limited to 1250 copies in the first edition. . Signed by Author. First Edition. Hard Cover. Near Fine/No Jacket - As Published. 8vo - over 7¾" - 9¾" tall. Signed, Limited. New York: Winchester Press, 1971. Bound in light brown cloth with gold lettering to spine; shows minor darkening to top page edges & a small area to bottom page corners; previous owner's signed bookplate to front end-paper; is illustrated throughout volume, and has an old ad paper for a Model 23 XTR laid in. Dustjacket shows light wear to extremes. 175 pgs. First Edition. Hard Cover. Near Fine/VG++. 6 1/2" X 9 1/2". Washington: Combat Forces, 1952. Bound in black cloth and red boards, stamped in silver. Previous owner's inscription and name stamp to ffep. Overall, an acceptable copy with flaps of dust jacket laid in. 494 pp.. First Edition. Hard Cover. Very Good +/No Jacket. 4to. New York: Stein And Day, 1980. Bound in 3/4 light blue baords with gold embossed author's signature to lower front panel, with darker blue cloth spine with copper lettering; has decorative end-papers with illustrations throughout. Shows author's inscription & signature to free title page & signature to title page; is in near-fine condition. Dustwrapper has the lightest occasional rubbing but is in otherwise near-fine condition. 320 pgs.. Inscribed and Signed. First Edition. Hard Cover. Near Fine/Near Fine. 7 1/2" X 10 1/2". New York: A.S. Barnes, 1945. Bound in brown cloth with gold lettering to front panel & faded gold lettering to spine; shows light occasional overall rubbing to cloth. 101 pgs.. Reprint. Hard Cover. VG++/No Jacket. Illus. by CLARK, Roland. 6 1/2" X 9 1/2". Boston: Wright & Potter Printing Company, 1912. Bound in green cloth with gold lettering to spine; is illustrated throughout and shows light wear to extremes. 622 pgs.. First Edition. Hard Cover. VG++/No Jacket. Illus. by BEECROFT, W. I. And Author. 7 1/2" X 10". Vermont: The Shelburne Museum, 1961. Bound in pictoral glossy wraps with an affixed diamond shaped title sticker to front panel; is illustrated throughout and shows a previous owners address label to ffep. and wear to extremes. 129 pgs.. First Edition. Soft Cover. VG+/No Jacket. NY: Oxford, 1946. Bound in blue cloth, stamped in gold. In an illustrated dust jacket which shows minor edgewear. 91 pp. Bookstore label to rear pastedown. . First Edition. Hard Cover. Very Good ++/Very Good +. Illus. by Ralph Ray. 4to - over 9¾" - 12" tall. NY: Oxford, 1946. Bound in blue cloth, stamped in gold. In an illustrated dust jacket which shows edgewear to extremes and one tape repair to obverse. 84 pp. Bookstore label to rear pastedown. Scarce. . First Edition. Hard Cover. Very Good ++/Very Good. Illus. by Ralph Ray. 4to - over 9¾" - 12" tall. U.S.A.: Dover Publications, 1982. Bound in stiff glossy wraps with decoy illustration to front panel. Unpaginated. Hard to find signed by both authors. . Signed By Both Authors. Reprint. Soft Cover. Near Fine/No Jacket. 4to - over 9¾" - 12" tall. U.S.A.: Dover Publications, 1981. Bound in stiff glossy wraps with decoy illustration to front panel. Unpaginated. . Signed By Both Authors. Reprint. Soft Cover. Near Fine/No Jacket. 4to - over 9¾" - 12" tall. L.A.: Petersen, 1978. Bound in brown cloth and tan buckram. With illustrated dust jacket that shows one closed 1" tear to bottom of front panel. Overall, a tight, clean copy. 121 pp.. First Edition. Hard Cover. Near Fine/Near Fine. Oblong 4to. The Sportsman's Gazetteer and General Guide. The Game Animals, Birds and Fishes of North America; Their Habits and Various Methods of Capture. Copious Instructions in Shooting, Fishing, Taxidermy, Woodcraft, Etc. NY: Forest and Stream Pub. Co., 1877. Bound in blue cloth, stamped in black and gold. The first edition. Presumably incribed on the front free endpaper, " with Compliments of the Author". Previous owner's bookplate to front pastedown and a few ownership stamps throughout, "Stephen Fairbanks" and another owner, J.A. Henshaw, MD. Published in two Parts 688 pp. & 208 pp. Some wear to extremes of spine, but certainly acceptable. . First Edition. Hard Cover. Very Good/No Jacket. 8vo - over 7¾" - 9¾" tall. U.S.A.: Charles Scribner's Sons, 1981. Bound in blue boards stamped in silver. A very scarce book on gun collecting. Previous owner's neat, small label to top of ffep. 185 pp. Tight, clean copy. . First Edition. Hard Cover. Near Fine/Near Fine. 8vo - over 7¾" - 9¾" tall. NY: Morrow, 1947. Bound in red cloth, stamped in gold. 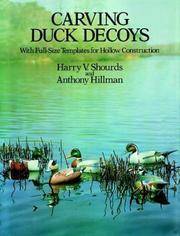 A classic book on Duck Hunting. Lacking the dust jacket, but the dust jacket flaps are laid in. 299 pp. + index. Tight, clean copy. . First Edition. Hard Cover. Very Good +/No Jacket. 4to - over 9¾" - 12" tall. NY: Outing, 1912. Bound in tan buckram stamped in brown and white. 360 pp. " . . . quite scarce and an extremely desirable wildfowling title" (Biscotti). TEG, Edges of spine show wear. Interior pages nice. Previous owner's small ownership label to top of ffep. . First Edition. Hard Cover. Very Good. 8vo - over 7¾" - 9¾" tall. NY: Putnam, 1945. Bound in red cloth, stamped in gold. A tight, clean copy of this 187 pp. book, illustrated by H. Hoecker. Some scuffing to front panel. . First Edition. Hard Cover. Very Good/No Jacket. 8vo - over 7¾" - 9¾" tall. Philadelphia: Penn Publishing, 1940. Bound in rust-colored cloth, stamped in black and gold with an illustration of a pheasant on the front panel. 450 pp. Illustrated by Lynn Bogue Hunt. Illustrated endsheets. Tight, clean copy. . First Edition. Hard Cover. Very Good +/No Jacket. 8vo - over 7¾" - 9¾" tall. NY: Scribners, 1954. Bound in green cloth, stamped in gold in matching dust jacket. Stories of hunting and fishing. 228 pages. . First Edition. Hard Cover. Very Good ++/Very Good +. 8vo - over 7¾" - 9¾" tall. Stony Brook, N.Y.: The Museums at Stony Brook, 1979. Bound in stiff gray boards with four bulletholes near the flying duck on the front panel. This is the rather scarce first edition of this title.152 pp. Tigjht, clean copy. . First Edition. Soft Cover. Very Good +/No Jacket. Oblong 4to.